"Good morning friends! 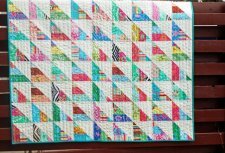 Today I want to share about a couple of fun baby quilt gifts I stitched up this month. 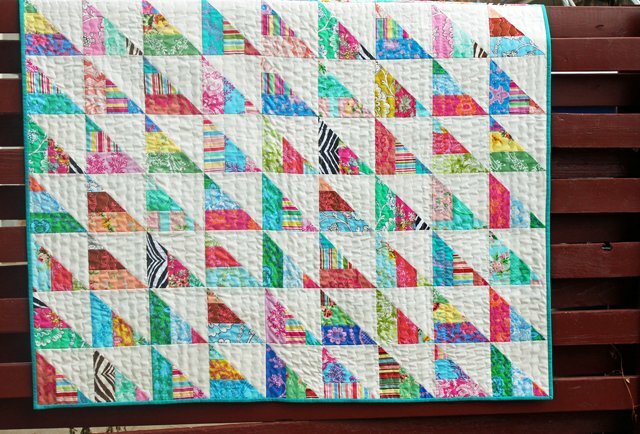 Just 1 jelly roll and a couple of yards of white gave me 2 nice sized quilts- each 51″ square! 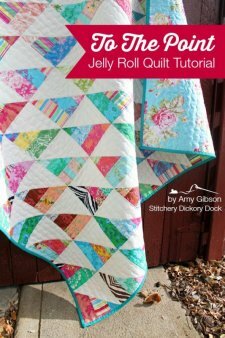 These are VERY quick, with minimal cutting, and are just perfect for a beginner, or any quilter who just wants to “get to the point” and stitch up some fast n’ easy gift or donation quilts."